September 30, 2010  The Tea Party's strategy is to stay focused on fiscal issues rather than take a stance on social or religious issues. 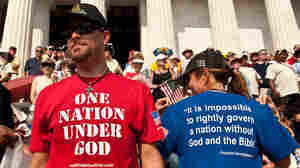 But that strategy could alienate many of its supporters who identify themselves as Christian conservatives. 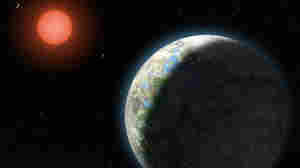 September 29, 2010  Astronomers found a planet orbiting a star just 20 light-years away whose temperature is neither too cold nor too hot to harbor life. Scientists have not directly observed water there, but the planet’s mass is enough to hold onto an atmosphere and to protect liquid water on its surface. 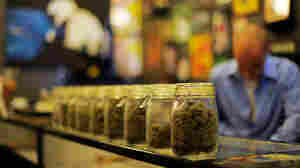 How Many L.A. Pot Clinics Will Survive Crackdown? September 28, 2010  In April, Los Angeles police began cracking down on clinics that weren't legally registered with the city. Now the city attorney is suing many of those still operating, but there are at least 35 countersuits challenging L.A.'s regulations. 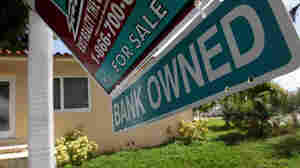 September 27, 2010  The number of people with damaged credit because they could not pay their home loans keeps growing. Millions have gone through a foreclosure or a short sale, when the property is sold for less than the balance due on their mortgage. Beyond the financial impact, borrowers say they feel stigmatized by low credit scores. Is Obama Doing Enough To Win Over The Public? September 26, 2010  Legislative achievements such as the health care law, financial regulation and the economic stimulus bill are all under attack, and Democrats up for re-election are distancing themselves from the party. What Happens To Health Law If GOP Wins Congress? September 25, 2010  Several key provisions of the new health care law took effect this week, just as Republicans unveiled plans to repeal the law should they retake control of Congress. But getting rid of the new law could be an insurmountable task. 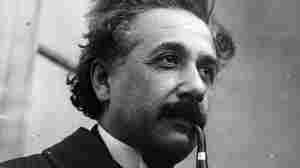 September 23, 2010  Einstein's theory of relativity posits that time -- what we perceive to be regular, consistent ticks on our watches -- isn't actually constant. Thought experiments from the early 1900s challenged our understanding of time, and now scientists have actual data to back Einstein up. September 22, 2010  Army Spc. Adam Winfield's father says he tried to alert Army authorities to his son's concerns about his platoon leader's actions in Afghanistan. 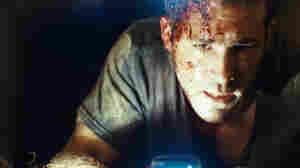 That platoon leader, Staff Sgt. Calvin Gibbs, and other soldiers, including Winfield, have been charged with killing Afghan civilians. September 21, 2010  In her new book, Modern Fairies, Dwarves, Goblins, and Other Nasties, Lesley M.M. 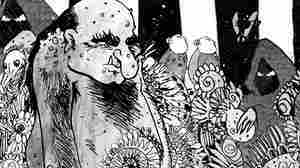 Blume creates a world in which trolls use bones for money and dwarfs dig rubies out of the Lincoln Tunnel. September 20, 2010  It's urgent. It's acrobatic. It's pulsing with raw sexuality. 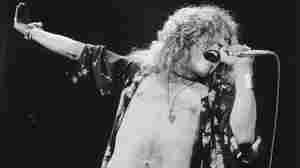 It's the unmistakable voice of Robert Plant. The iconic Led Zeppelin vocalist behind the wailing "Whole Lotta Love" continues to challenge his instrument on his new album, Band of Joy. 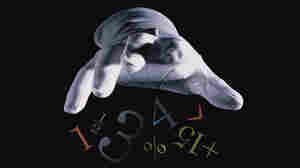 September 19, 2010  Math is the only truly exact science, but numbers can also be used to fudge and deceive. Author Charles Seife explores the ways numbers can lie in his new book, Proofiness: The Dark Arts of Mathematical Deception. September 18, 2010  These days there are magazines and television programs devoted to kitchen design, but it's an idea that took off only less than a century ago. 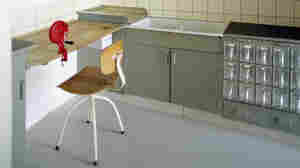 In fact, as a new exhibit at New York's Museum of Modern Art shows, designing a kitchen started off as a political act. 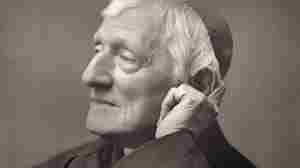 September 17, 2010  As part of his visit to Britain Sunday, Pope Benedict XVI will beatify John Henry Newman, bringing the 19th century British cardinal one step closer to sainthood. But some question whether the revered cardinal and prolific author was in a relationship with his friend Ambrose St. John. September 16, 2010  The Obama administration says only 2 percent of small businesses will see their taxes go up if the Bush tax cuts expire. And while that's technically true, a much higher percentage of small businesses that employ sizable numbers of people would see a tax increase.